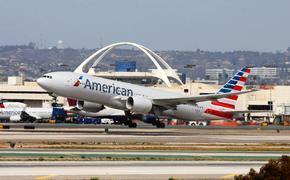 Could ‘Seating in the Round’ Come to Planes? While many in the airline industry subscribe to the notion that if it isn't broke, don't fix it, the creative minds at Airbus aren't holding anything back when it comes to airplane design. 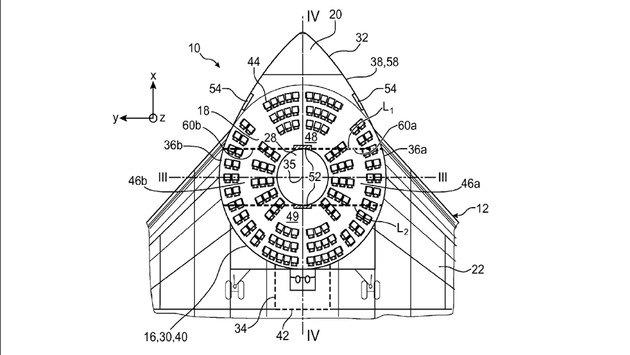 The company's latest patent application introduces a bizarre seating layout that would have passengers sitting in a circle rather than traditional rows, almost as if they were attending a United Nations conference in the sky. The patent, which can be viewed on Espacenet.com, was filed last month and includes an image of Airbus' proposed seating design, which results in the plane taking on the appearance of a stealth bomber. "According to its patent application, Airbus says that traditional airplanes—where passengers sit in rows in a cylindrical tube—come with a big design flaw: when the cabin is pressurized, it puts a lot of stress on the plane’s front and back. That requires weighty reinforced frames and limits the number of people you can fit on an airplane." The patent states that "the purpose of the invention is particularly to provide a simple, economic and efficient solution to these problems." Despite whatever facts Airbus can present in defense of the design, it'll require an abundance of open-minded travelers in order for the Kumbaya-style seating to eventually catch on. But that's assuming the new design makes it from paper to reality. With the Financial Times calling it a "flying doughnut," as noted by Lipsey, the company will have to overcome a cloud of doubt if future passengers are to even have the option of staring at strangers and flying backwards en route to their destination. With Airbus having filed patents for a handful of other eccentric ideas over the past year, there's no telling if or when the cutting edge accommodation will become an alternative for future travelers.